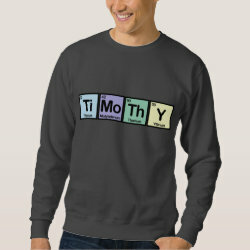 Timothy made of Elements Magnetic Bottle Opener: Beer and soda lovers rejoice! Never look for your bottle opener again with a magnetic bottle opener. Customize an opener with your favorite designs and custom text and stick it onto your refrigerator or cooler. These bottle openers are completely waterproof and are made with high quality metal for extra durability. Great as gifts for weddings, parties, birthdays and more. Check out other products with this design or view all drinkware. 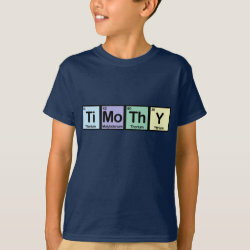 This bottle opener with our Timothy made of Elements design is made-to-order by Zazzle.com. Zazzle offers 100% money back guarantee on our high quality Cute Union products. In case you are not happy with your purchase, you can always return your bottle opener for an exchange or refund within 30 days of receipt. See customer service for more information.